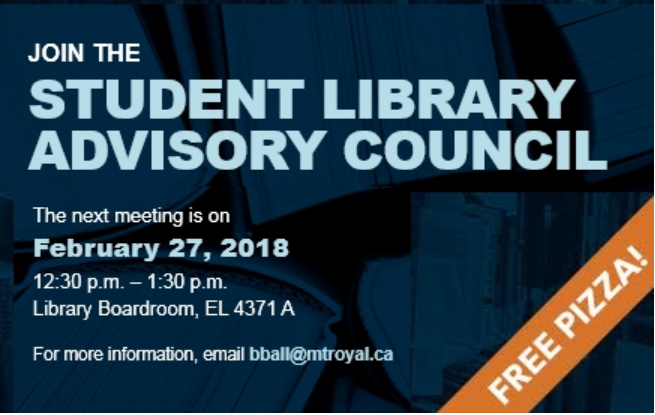 Student Library Advisory Council Meeting, Feb. 27 at 12:30 p.m. 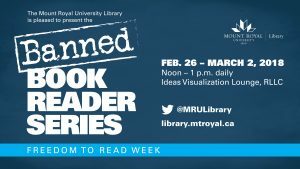 The Mount Royal University Library is pleased to present the Banned Book Reader Series as part of Freedom to Read Week. 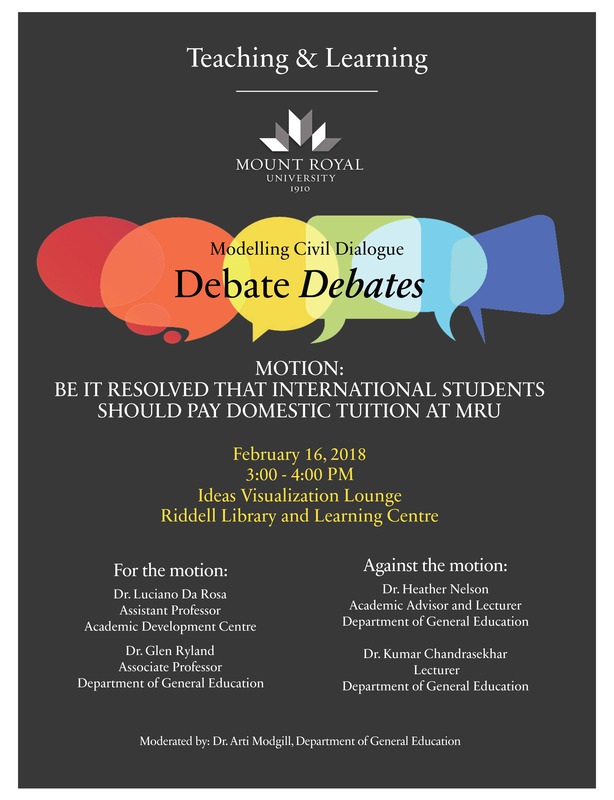 Join fellow students, faculty, and staff as they read passages aloud from challenged and banned books to demonstrate our commitment to intellectual freedom. Readings and other activities will take place from 12pm – 1pm daily between February 26 and March 2, 2018, in the Ideas Visualization Lounge. 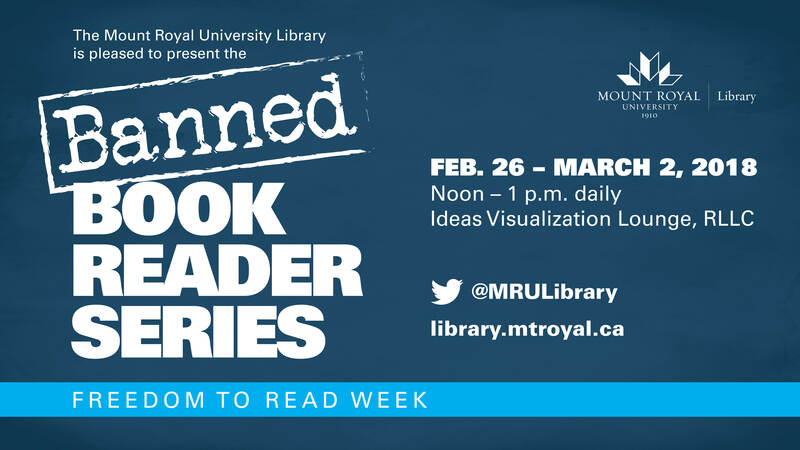 In addition to the noon-hour series, you can also visit the MRU Library or MRU Bookstore during Freedom to Read Week to guess the banned book and enter to win a great prize!